Meet the best experts on machine learning in one place. Speakers from Facebook, Google and the New York Times. Imagine how much you can learn from the person behind the algorithms of Facebook’s News Feed or the person who trained Yahoo’s algorithm with billions of clickstreams. 14 hours full of hands-on information. This is not an academic event, this will not just be theories. You will see real-life applications of machine learning. Our speakers as well as the audience will be joining us from countries around the world. The conference will be held in English. It's not all about the lectures! Meet interesting people, discuss your ideas and enjoy parties in the center of Prague! 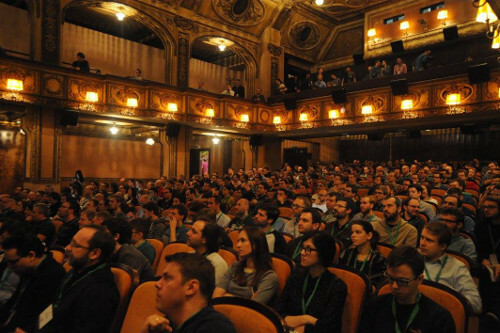 We will be organizing tours, where you will get to discover the most beautiful places of Prague, taste the best local beers, and discuss the hottest topics in machine learning. 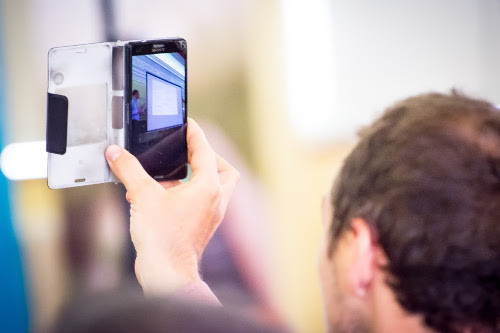 Don't worry about accommodation, transport, or information during the conference. We will be there to help you with anything you need. At Facebook, he first worked on the People You May Know system. Since 2010, he’s been working on News Feed, trying to understand how Social Graph connects everyone with their friends and the world by showing the most relevant content. 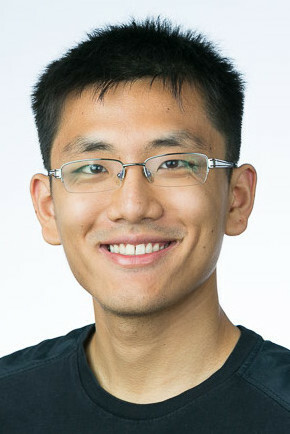 Yufeng is a Developer Advocate for the Google Cloud Platform, where he bridges the gap between the developer community and engineering teams. He is interested in finding new and interesting applications of machine learning. 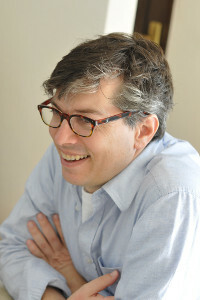 The long term focus of Pierre's research is on understanding intelligence in brains and machines. He has made several contributions to the theory of neural networks, and developed and applied deep learning methods for problems in the natural sciences. Bradford is a founding partner at DCVC, the world's leading machine learning and big data venture capital fund. He has founded two startups since 2009 – Prismatic and Flightcaster. His current focus is fintech and applications of computational health, and machine vision. 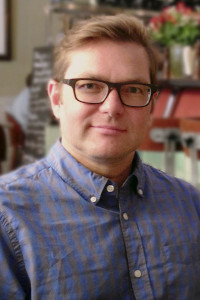 Kristinn is the founder of the Icelandic Institute for Intelligent Machines and a co-founder of the Center for Analysis and Design of Intelligent Agents. He is one of the leading proponents of artificial intelligence systems integration and the author of a new methodology for achieving artificial general intelligence. Maria is a Chief Innovation Officer at Matsuko, a game studio that also develops augmented & virtual reality installations. With having background in AI and human-robot interaction, she applies machine learning to creating technology that interacts with people and their environment. Willi is involved in improving the Microsoft Cognitive Toolkit and applying it to Bing workloads. 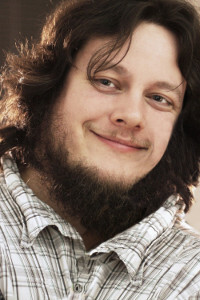 He is the coauthor of a bestselling book "Building Machine Learning Systems with Python". 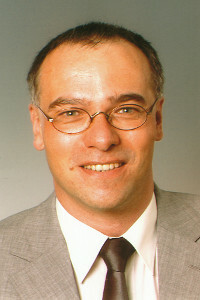 In his last position, Ralph was a key account manager at circular for nearly 10 years mainly in the field of HPC. He also collaborated closely with SUN microsystems and DELL. He is currently the Business Development Manager within the DACH region for GPU-Computing (Tesla) and Deep Learning at NVIDIA. 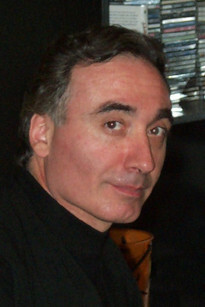 Martin’s research deals with algorithmic game theory and is a co-author of DeepStack, the first computer program to beat professional players in Poker. He also works at IBM Watson as a research scientist on neural networks for text understanding. 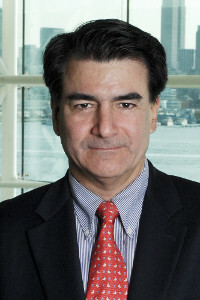 Germán is an associate professor of quantitative finance and business analytics at Stevens Institute of Technology and an adjunct associate professor at Columbia University. He has been economic advisor to the President of Ecuador and the government of Equatorial Guinnea. 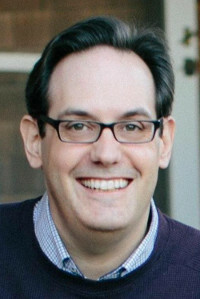 Chris is a founding member of the executive committee of the Data Science Institute at Columbia University and the Chief Data Scientist at The New York Times. 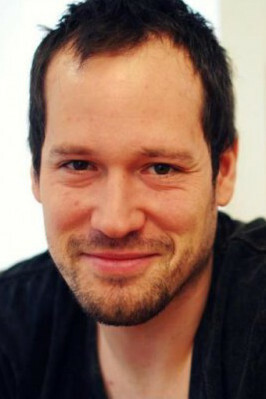 He is a co-founder and co-organizer of hackNY (http://hackNY.org). David Gerster is VP of Data Science at BigML, where he evangelizes the idea that data science is easy. At Groupon, he built an elite data science team that trained the first models for mobile deal relevance. At Yahoo, he collected billions of clickstreams to train Yahoo’s search algorithm. 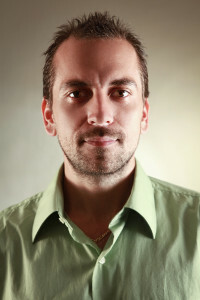 Michal is the founder of Jyxo, a former leading search technology provider in the Czech Republic. Currently, he is working on several new projects that deal with with structured data, image processing, algorithmic trading and machine learning. 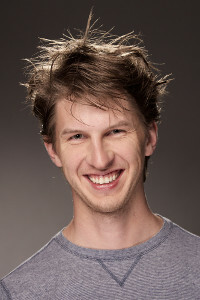 Lukas works as a research team lead at Seznam.cz. His team works on the implementation of various machine learning tasks ranging from text and web page analysis to image recognition. 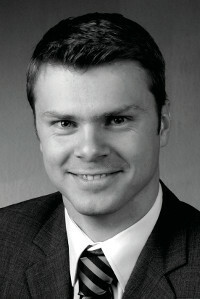 Tomas holds the position of researcher at CTU in Prague and Technical Lead at Cisco Systems, Inc. 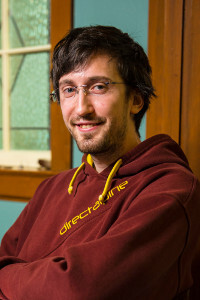 He received his Ph.D. in CS from SUNY in Binghamton in 2008 and MS in CS at CTU in Prague in 2003. He spent one year in Gipsa-lab in Grenoble, France as a postdoc. His research focuses on machine learning in security domains. 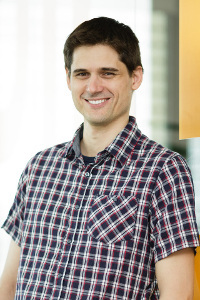 Wojciech’s research interests include topics in large-scale distributed processing, relational machine learning, time-series modeling, big data software architecture. He has also participated in multiple machine learning projects in media, telecommunication, finance and manufacturing domains. Martin spent 10 years doing research in biomedical signal processing, neuroscience and data assimilation at the Czech Academy of Sciences. He then decided to move from the academic world into the industry to help boost cybersecurity with (more) machine learning at the Avast Threat Labs. Reinforcement learning (RL) is a technique that goes way back to the early 80s. It has become very popular again recently because of the use of deep neural networks as the function approximators, in what is called DQN (deep Q-network). The broad application of DQNs ranges from playing ATARI games from raw pixels or playing a board game of Go to optimizing large cooling systems in data centers. In the first session of this workshop, we will cover the basic theory of Q-learning and DQN, recent advances and expected future development. In the second part, we will go through the source codes of an RL algorithm and train it inside a browser - no special installation of software will be required. The convergence of harder problems can take several days so we will be training with a simpler task that can be done during the workshop. The goal of this workshop is to give attendees a blueprint for building an end-to-end enterprise-ready ML solution and demonstrate its usage on typical ML corporate use cases (telco, digital marketing). In the first session, we will create a base for analyzing the data using Cloudera’s CDH platform. The platform will be set up for data science workloads, including the integration of necessary tooling. We will also point out best practices and pitfalls to avoid when running the platform with ML workloads in enterprise environments. The second session will be dedicated to real-time ingestion and analysis of live data against prepared models on top of our previously created platform. In the third session, we will go into detail on some specific machine learning techniques applied in telco industry use cases like churn prediction or community detection. In malware detection, an extremely low false positive rate is one of the most important targets. This paradigm results in a funnel of multiple different algorithms, in which each component is designed for achieving a very high precision rate with a potentially low recall. Another specific aspect is that in malware detection, big data is really big (hundreds of terabytes of files) while posing the challenge of dealing with a very imbalanced class representation (typically much more benign software than malware). In the first two sessions, we will offer a theoretical look at various algorithms used for malware detection. In the latter two sessions, we will provide the participants with a direct hands-on experience with a real world dataset (more than 200.000 samples). We will also hold a hackathon-like competition in designing a malware detection pipeline that will result in the best recall with the highest precision. For this part of the workshop, a basic level of Python knowledge is recommended (although not obligatory). Come to see how easy ML would be even for not data scientist. I will walk you thru Azure Machine Learning from very basic tasks to custom models in R or Python. We will also take a look on Net# (neural network specification language for Azure Machine Learning). For this workshop you need to bring your own laptop with modern Internet browser installed. Session II of the workshop. At GoodAI, we believe that that gradual learning is a key aspect of AGI. In this hands-on workshop, we shall introduce and motivate the use of gradual learning throughout the lifetime of an agent. We will present a problem which is challenging for the current state of the art deep learning methods, and will demonstrate how it can be solved with the use of gradual learning. We will also share code samples for a gradual learner and work with the audience to construct their own gradual learning agent, which is applicable to both the presented problem and other examples. Session III of the workshop. This workshop will introduce machine learning systems used for recommendation &dash; a ML field with most commercial applications so far. In the first session we will overview both collaborative filtering and content based recommendation approaches and ensembling. We will target evaluation and optimization of recommender systems and share practical insights into implementing real-time large scale recommender systems. In the following sessions, you will experiment with our platform. We will hold 2 competitions: one for most original recommendation use-case and the second for the best integration. For the first competition, you should find and demonstrate mapping into original domain (e.g. recommend illness to patients based on historical medical records). In the second competition, we will evaluate how you prepared data and covered cold start items with attributes to compute their similarity. Intermediate python, ruby, java, or php requred for hands on experience. Bring your own data. Contact us in advance for advise. Introduction to recommender systems: recombee blog. Recent advances in artificial intelligence have been extraordinary. Despite this fact, the measure of our true progress towards human-level artificial intelligence has been elusive. The AI Roadmap Institute has been established to tackle this challenge and push our understanding of the AI landscape beyond our current comprehension. This workshop will offer a glimpse into one of the fundamental tasks of the institute, namely the comparison of disparate roadmaps for building intelligent machines. Such comparison is vital for evaluating where we truly stand relative to our goal, the discovery of potential dead-ends, and the identification of areas of research that the community should really focus on. In this talk, we will overview the topic of image retrieval. Initially, we will focus on retrieval methods based on Bag-of-Words (BoW) image representation, which exploit geometric constraints. We will then discuss how standard similarity-based image retrieval formulation uses BoW with geometry to satisfy only a single user requirement. Then, we will show how different formulations employ the same methods to fulfill different requirements in other tasks, such as online browsing of image collections, image analysis based on large collections of photographs, or 3D model construction. Finally, we will present how BoW with geometry dispenses with the need for costly manual image annotation to perform Convolutional Neural Network (CNN) training. Session IV of the workshop. Low level task-based AI gets commoditized quickly and more general AI is decades off. In the meantime, will new AI startups succeed or will the value accrue to Google and Facebook? I will describe how Vertical AI startups solve full-stack industry problems that require subject matter expertise, unique data, and a product that uses AI to deliver its core value proposition. I will share data about why Vertical AI startups are interesting, personal experience from my startups and DCVC, and big problems for the future in different verticals like finance, healthcare, transportation, energy, agriculture, and environment. The Data Science group at The New York Times develops and deploys machine learning solutions to newsroom and business problems. Re-framing real-world questions as machine learning tasks requires not only adapting and extending models and algorithms to new or special cases but also sufficient breadth to know the right method for the right challenge. I'll first outline how unsupervised, supervised, and reinforcement learning methods are increasingly used in human applications for description, prediction, and prescription, respectively. I'll then focus on the 'prescriptive' cases, showing how methods from the reinforcement learning and causal inference literatures can be of direct impact in engineering, business, and decision-making more generally. The Microsoft Cognitive Toolkit is an open-source deep-learning toolkit that provides uncompromised scaling, speed and accuracy via an easy-to-use Python interface. In this session, you will learn that you do not have to sacrifice speed when using state of the art methods of machine learning in a high-level language. We will explore the power of news sentiment to predict financial returns, in particular the returns of a set of European stocks. Building on past decision support work going back to the Delphi method we will describe a text analysis expert weighting algorithm that aggregates the responses of both humans and algorithms by dynamically selecting the best response according to previous performance. The proposed system is tested through an experiment in which ensembles of experts, crowds and machines analyzed Thomson Reuters news stories and predicted the returns of the relevant stocks mentioned right after the stories appeared. The expert weighting algorithm was better than or as good as the best algorithm or human in most cases. Over the years, we have experimented with many methods such as SVMs, neural networks, decision tree forests, sentiment analysis or word vectors –all with the goal of predicting if the price of a popular tech stock (AAPL, GOOG, AMZN and others) will grow or sink in the next few minutes. Find out what we used and how it eventually turned out. Data has a value from which information and knowledge can be extracted. 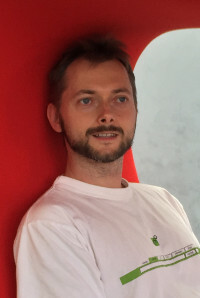 Within the talk, Wojciech Indyk, from Konica Minolta Laboratory Europe (KMLE), will describe tips and tricks on the methods for prototyping Machine Learning systems. Wojciech will make an overview of the lessons learnt in KMLE within the development of a predictive maintenance application for Multi-FunctionalPrinters. The context for this application is characterized by time series data and peculiar features for machine learning such as unbalanced classes and data from MFPs counters that convey partial information on machine’s status. 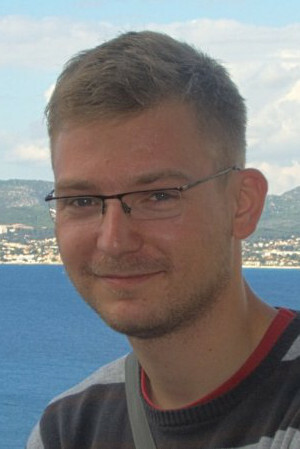 After the identification of machine learning problems for predictive maintenance of MFPs, Wojciech will focus on the right tools, the scope of analytical processes and the availability of reusable components and functions, that could contribute to the development of a friendly context for streamlining specific machine learning pipelines. Feed ranking's goal is to provide people with over a billion personalized experiences. We strive to provide the most compelling content to each person, personalized to them so that they are most likely to see the content that is most interesting to them. Similar to a newspaper, putting the right stories above the fold has always been critical to engaging customers and interesting them in the rest of the paper. In feed ranking, we face a similar challenge, but on a grander scale. Each time a person visits, we need to find the best piece of content out of all the available stories and put it at the top of feed where people are most likely to see it. To accomplish this, we do large-scale machine learning to model each person, figure out which friends, pages and topics they care about and pick the stories each particular person is interested in. In addition to the large-scale machine learning problems we work on, another primary area of research is understanding the value we are creating for people and making sure that our objective function is in alignment with what people want. Seznam.cz is, among other things, a major player on the search engine market in the Czech Republic. A few years ago, we switched our image search service from a third-party provider to our own in-house solution. It started as a simple modification of our fulltext search engine. But, over time, it has gradually developed into a standalone system. This talk will be focused on the evolution of the search, the obstacles we faced and the solutions we implemented. We'll briefly discuss the models, machine learning techniques and features that are used in the image search pipeline. The focus will mostly be on our investigation into deep learning in order to further improve the relevancy of the system. Free text presents a special challenge for data scientists: specifically, how to extract useful information without requiring Google-like powers of semantic analysis. In this talk, we use Latent Dirichlet Allocation to discover topics in the text of movie reviews, and also provide an overview of the generative model used in LDA. We will go through the main benefits of chatbots and why there is a hype around them. We use IoT devices to listen for the sound of industrial machines and use deep learning and power of neural networks to recognize their failures. How soon will large companies run on autopilot? Training data isn’t going to prepare itself. Can we find solution using AI in simulation? How to use machine learning to successfully automate the boring part of lawyers and paralegals' work. The project is devoted to create architecture, in which Natural Language Understanding is used to provide environment for Reinforcement Learning of an agent, which in its turn should decide, when it is know enough to generate a right answer. How to, or not to, sell Machine Learning? How corporations react when features and benefits of ML are being introduced to them. How human chat agents can help chatbots to get smarter, and how ML can help human chat agents to be more productive. Open source project for an efficient data distribution and monetization of AI tools. We will show how we collected the greatest database of data related to the language industry and how we build ML tools that provided us competitive advantage in the industry. TensorFlow is an open-source Python library for machine learning and neural networks. With this new tool, deep machine learning transitions from an area of research into the realm mainstream software engineering. In this session, learn how you can leverage TensorFlow to make maintainable, high performance machine learning systems. The NVIDIA DGX SATURNV taps into the compute power of 125 NVIDIA Pascal™-powered DGX-1™ server nodes to drive new levels of deep learning and AI analytics. 1,000 NVIDIA Tesla® P100 data center accelerators, coupled with NVIDIA’s deep learning software stack, provide high-performance deep learning training across multiple frameworks to deliver the best results in the shortest time. We will provide insights and details on this leap forward towards exascale computing. We will describe methods for designing feedforward and recurrent neural architectures and their effective applications to diverse problems in the life sciences. In particular, we will demonstrate deep learning applications for the prediction of the properties of small and large molecules (proteins) in bioinformatics, the analysis of circadian rhythms in systems biology, and the detection of cancer and other pathologies in biomedical imaging. A key reason for giving a machine intelligence is to enable it to handle new unforeseen challenges. A system that can do this autonomously over extended periods of time meets an important requirement for what we call general intelligence. Predictions and promises notwithstanding, machines with general intelligence and high levels of autonomy have been slow in coming, and principles for how to design such systems have been missing. In this talk, I will present new methodological and engineering principles for designing a machine that becomes increasingly better at behaving in under specified circumstances with experience, in a goal-directed way, continuously, on the job, with minimal up-front information. Starting from a tiny amount of designer-specified code – a seed – the machine recursively self-improves, ultimately growing its knowledge to large multiples of the seed. I will show an example of how such a machine can learn a complex task such as a TV-style interview. Knowing nothing about sentence structure or grammar, interviews, multimodal gestures, or turn taking, it learns in an unsupervised manner how to effortlessly couple and coordinate multimodal gesture and speech, how to construct complex grammatically correct sentences, how to correctly interpret complex spoken utterances, resolve anaphora, interpret multimodal gestures, take turns smoothly to achieve the goal of cooperative dialogue, and properly and appropriately structure a whole interview in live interaction with a human. The talk will address interactive machine-learning systems in real-world environments, in which human-centered design of AI behaviours is crucial since robots need to react appropriately to human expectations and behavior. Examples of such adaptive systems will cover the fields of entertainment and education, where physical and virtual robots are explicitly developed for human-robot interaction to support human-like interaction: from robots used as tutors in schools or as support in elderly care to virtual robots, such as 3D augmented reality dinosaurs in a zoo or AI characters in PC games. I will introduce the vision of MATSUKO: to create a platform for mixed-reality intelligent companions, learning characters - that can sense and response, integrated into the natural world. Many scientists, futurologists and philosophers have predicted that humanity will achieve a technological breakthrough and create Artificial General Intelligence (AGI). It has been suggested that AGI may be a positive or negative factor in the global catastrophic risk. In order to mitigate a dangerous AGI system it is important to understand how the system came to be in such a state. In this talk, I will survey, classify and analyze a number of pathways, which might lead to the arrival of dangerous AGI. After chess (DeepBlue – IBM) and go (AlphaGo – DeepMind), computers beat professional players in no-limit Poker, important milestone for AI. In contrast to previous games, Poker is a game of imperfect information – while this property is common in real world decision making, it makes the problem much more challenging for the computers. DeepStack is a revolutionary algorithm for such games that incorporates local search and deep neural nets. Multi-instance learning applies to problems where samples are described by a set of vectors of arbitrary size. Such problems naturally occur in text analysis, image recognition, analysis of molecules, and network security. In this talk, I will first show how neural networks can be elegantly applied to MIL problems. Then we will move to modelling more complex tree structures describing structure of network traffic. Avast uses machine learning in production to make tens of millions of decisions daily. However developing new ML pipelines is difficult since security domain knowledge and machine learning skills reside in the minds of different people and the development cycle is long. To overcome these issues, we built a system that allows our security experts to quickly and effectively write & test new features on our 300TB database of executable files. The system implements a hierarchical model which decomposes the space of samples into clusters with a ‘local expert’ model for each cluster. A construction of this type facilitates detailed feedback where problematic clusters can be taken apart, analyzed and new proposed features can be fed back into the system to enrich the global space and improve the entire model. On Saturday, we invite you to visit the Avast booth and take a walk through our data using a demo VR interface. Hot topics from machine learning and artificial intelligence. The welcome party will be held on Friday evening. right after the conference on Saturday at 18:00. 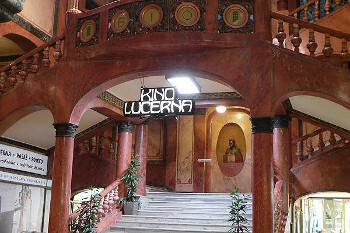 Lectures in the beautiful Lucerna Cinema with more than 100 years of history (one of the oldest cinema halls still in operation across Europe and the world), practical hands-on workshops, and showcases of the latest machine learning solutions at the stands of our partners. Two amazing parties. One right after the workshops and the second in the La Loca club in the city center on Saturday. Great venues just for us! Food provided by Freshland and Bakeland, a family company that bakes with traditional family recipes from the 1930s. And of course, we can’t forget to mention on the coffee from Doubleshot! Most of the talks will be given by well-known invited speakers. However, we would also like to give students and startups an opportunity to present their work and research. It will be realized in the form of short lightning talks. Each speaker will get a free ticket to the conference. If you are interested in becoming a lightning speaker, please send us a short paper (less than 1000 words) describing your machine learning project. Our committee will select up to 10 speakers for the lightning session. Copyright © 2017 Machine Learning Prague s.r.o.